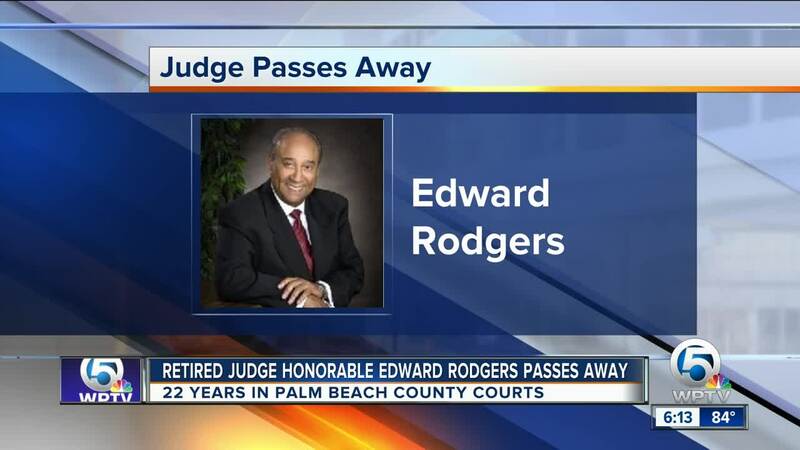 A well-known and respected retired Palm Beach County judge has died at the age of 91. The honorable Edward Rodgers spent 22 years in the civil, criminal and probate courts, receiving dozens of public awards and tributes. A civil rights pioneer and retired Palm Beach County judge has died at the age of 91. The honorable Edward Rodgers spent 22 years in the civil, criminal and probate courts, receiving dozens of public awards and tributes. He protested unequal pay for black teachers, which later led him to attend law school at Florida A&M in Tallahassee. According to the Historical Society of Palm Beach County, he was the first African-American prosecutor in the county. 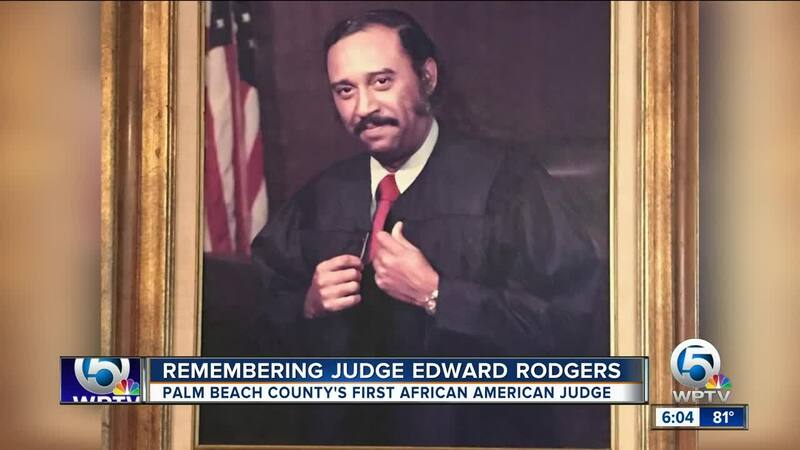 He became the county’s first black assistant state attorney and first African-American judge in Palm Beach County. He later became Florida’s first black circuit court judge and chief judge. During the 1960s, he pushed to desegregate Good Samaritan Hospital. "I always knew that he helped a lot of people because the phone would ring day in and day out," recalled his daughter Cissie Rodgers. "He was always there to help no matter the situation. Like when I was in school, he would ask if I would need anything," recalled family member Shanaya Rodgers. After he retired, he served as River Beach city councilman and mayor. The city's post office was renamed for Rodgers in 2004. "We loved him. We will miss him and his contribution to all of us," said grandson John Thompson. 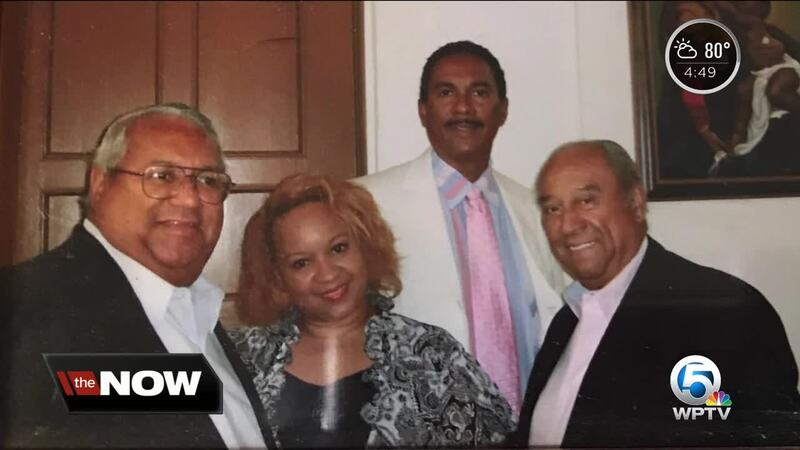 A visitation will take place from 5 p.m. to 8 p.m. Friday at St. Patrick’s Episcopal Church, located at 418 N. Sapodilla Ave. in West Palm Beach, according to the Palm Beach Post. "His life and legacy will continue to live on through the memories of his family, and friends and community and co-workers and all of the people that he touched," Cissie Rodgers said. A second visitation will be held from 10 a.m. to 10:45 a.m. Saturday at Holy Trinity Episcopal Church, located at 211 Trinity Place in West Palm Beach. His funeral will be held shortly after the service.